A full-strength England conquered the West Indies in the high-scoring first ODI to take the early honours in the series. Now both sides will clash again at the Kensington Oval in Barbados for the second ODI of the five-game series on Friday, 22 February. The Kensington Oval has a unique importance for England, which not many cricket fans would know. This was the venue where England's momentous ODI run against the Caribbeans started on 29 March 2009; since then, they have lost just one 50-over fixture against Windies, and that was played at Sir Vivian Richards Stadium on 28 February 2014. The Englishmen have put the disappointment of the Test series loss behind them, and have quickly gotten back into their groove in the ODIs. They are showing their critics why they are World No. 1 in the 50-over format. 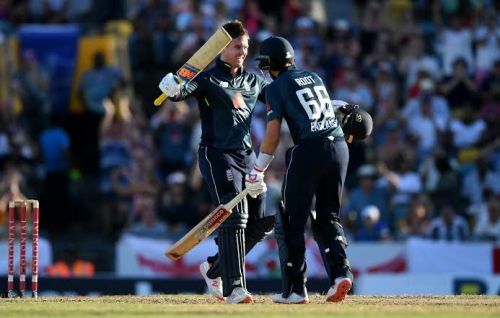 Jason Roy and Joe Root were the star performers in the opening ODI and produced stellar performances by smashing 123 and 102 runs respectively. These two, along with Jonny Barstow, looked in good touch in the series opener and one can expect them to continue their run in the second ODI. Skipper Eoin Morgan, Ben Stokes and Jos Buttler form a solid middle order. All of them are capable of holding the innings together in case of early slips. Both Ben Stokes (3/37) and Adil Rashid (3/74) snared three scalps each, but Rashid was quite expensive, which he would want to rectify in the next outing. Chris Woakes took a couple and finished with figures of 2/59 in 10 overs, and he will be excepted to pose a few problems to the batsmen during the powerplay overs. Eoin Morgan (C), Jos Buttler (W), Ben Stokes, Moeen Ali, Chris Woakes, Adil Rashid, David Willey, Mark Wood, Jason Roy, Jonny Bairstow and Joe Root. Chris Gayle was the big positive for Windies in opening fixture. The Windies are going through an abysmal run of form against the visitors, and have now lost their last 10 ODIs on the trot. Chris Gayle was at his destructive best in the first ODI and cracked a 135-run knock to bolster the home side to a dream start. But all of his good work was undone by the rest of the team members, as they failed to carry on the momentum he generated. Apart from Gayle, Shai Hope was the only batsman to cross 50-run mark, which itself underlines the reason behind their loss. The management will hope for a much stronger intent from their middle order in the second fixture. The Caribbeans failed to trouble the visitors at all, with Jason Holder being the only bowler to get some respect. Holder returned pretty good figures of 2-63 and he will back himself to do even better on the next occasion. Oshane Thomas and Devendra Bishoo shared one scalp each, but were smacked at around eight runs per over average. All the West Indian bowlers will need to do a lot better at containing the flow of runs if they harbor any hopes of making this series competitive. 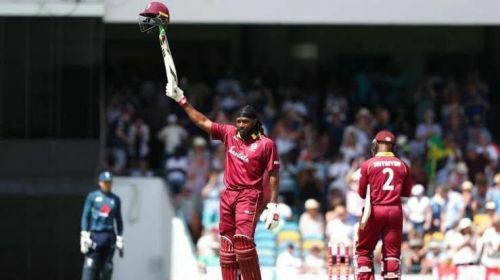 Jason Holder (C), Carlos Brathwaite, Ashley Nurse, Devendra Bishoo, Oshane Thomas, Chris Gayle, John Campbell, Shai Hope (W), Shimron Hetmyer, Nicholas Pooran and Darren Bravo.